The savvy entrepreneur will no doubt be aware that now is a great time to start a business taking pictures of bank foreclosures. With unemployment at its highest levels in decades, it is safe to say that times are not good. When people are out of work and can't make payments, banks have to foreclose on their homes, cars, and other assets. The banks then turn around and try to resell these items to recoup some of their losses. When they are looking to market these assets, photographers are needed to take pictures of what it is the banks are trying to sell. A good photographer could turn another person's pain and hardship into a thriving small business. The two main foreclosed assets that banks typically take pictures of are cars and homes. Cars and homes have real value, and because banks aren't in the business of buying homes that aren't lived in and cars that aren't being driven, when these assets are foreclosed on the banks want to sell them to someone else as quickly as possible. That means photographing them and using the photos to drum up interest in the assets. These days, photos can be taken and posted immediately to the Internet, but banks still assemble and circulate mailers and other print resources that use photographs of foreclosures. If you're thinking of starting a business taking pictures of bank foreclosures, it's a good idea to contact the banks in your area and see if they could use your services. Some smaller banks specialize in home mortgages, while others do more business in car loans. Larger banks will typically do loans of all types. 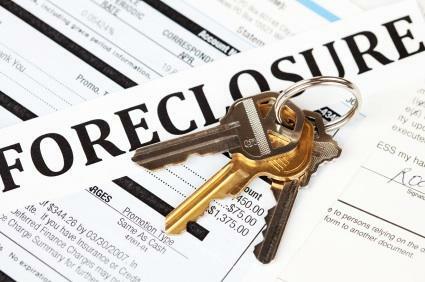 Talk to someone in the loan department and see if they need someone to photograph their foreclosures. Often banks will work with particular real estate agencies that help them resell foreclosed homes. Typically, the real estate agent is in charge of getting photographs of properties that he or she is listing. If you contact a realtor, you need to be prepared to explain that your business could save them time and, more importantly, that your skills as a photographer will lead to higher quality images that will help sell homes. Remember, you are selling your services, so you need to be prepared to make yourself seem valuable. Offer to meet agents for lunch and show them some of your photos. Once you get your foot in the door, your work will speak for itself. If you are photographing homes, you will be given a list of addresses and will have to drive to the properties to take the photos. This can be a tricky proposition, as there will often still be people living in the homes, who probably won't be thrilled that someone associated with the bank is coming to photograph their house. That being said, you need to be as professional as possible and get as many photos of the property as you can. If the house is inhabited, you will obviously not be expected to photograph the inside, but you should get as many shots of the exterior from all angles as possible. If you are sent out to photograph cars, they will likely already be at the impound lot. Try to get as many angles of the car's exterior as possible. In addition, try to get photos of the car's interiors as well. The more photos you have of the foreclosed assets, the easier it will be to resell them. With any luck, this period of extremely high foreclosures will not last forever. This means that if you are thinking about starting a business taking pictures of bank foreclosures, you need begin right away. The pay per shot will likely not be very high, but the volume might be high enough for a while to make the work worthwhile. Follow your leads and see what you can come up with, but don't wait too long.